The weekend after the Big Ten/ACC Challenge is probably one of the weakest slates of the year. After coming out of all the Feast Week tournaments followed by playing formidable competition in the challenge, most teams are looking to take it easy with opponents from low-major conferences this weekend. And with the Big Ten season arriving soon enough, it’s hard to blame them. At this point in the season, coaches just want to give their guys a break and pick up a few easy wins. It makes for a fairly boring first weekend of December in the Big Ten, but here is a preview of the best games of this quiet weekend. Temple at Wisconsin (Saturday, 12:30 ET PM, CBS). This matchup with 3-3 Temple (which was picked to finish sixth in the American) doesn’t excite at first blush, but it represents the Big Ten game this weekend with the highest thrill score (according to KenPom), so perhaps the Owls have an extra gear in store for their trip to Madison. The Badgers surprised everyone on Wednesday when they went into the Carrier Dome and upset Syracuse, so maintaining momentum through this weekend will be crucial for Bo Ryan’s crew. If Bronson Koenig can prove to be more consistent in his production, the Badgers still have a great shot at making a 15th straight NCAA Tournament. Temple, a team that has already taken down a B1G squad earlier this season (Minnesota), has a formidable defense that is capable of slowing down good offenses. That defense could be even tougher on an offense that’s been as ineffective as Wisconsin’s (46.3% eFG) this season. If the Badgers have an off shooting afternoon, then a second home loss is definitely in play here. By the second weekend of the season, most power conference teams have moved past playing cupcakes from one-bid leagues — although some of those cupcakes ultimately got the last laugh — and are now moving up in competition. Stiffer tests begin in earnest for two Big Ten squads tonight, as Wisconsin and Michigan take part in marquee match-ups against Big East opponents and wo more B1G teams face challenging mid-majors on Saturday. Here are the four games to watch involving Big Ten teams this weekend. Nigel Hayes and Bronson Koenig scored a combined 29 points in last year’s thriller against Georgetown (Photo: David Banks, USA Today Sports). Georgetown vs. Wisconsin (Friday, 5:00 PM ET, ESPN). Oddly enough, this game isn’t part of the slate of Gavitt Tipoff Games but instead a part of the 2K Classic event taking place in Madison Square Garden over the weekend. It’s also a rematch of a classic from last season, when the Hoyas — behind a 29-point effort from D’Vauntes Smith-Rivera — nearly upset the second-ranked Badgers in the Battle 4 Atlantis. These teams look to be more evenly matched this year, with Smith-Rivera perhaps looking to finish what he started a year ago in the Bahamas. Both squads have already suffered unexpected home losses to teams they have no business losing to (Wisconsin to Western Illinois; Georgetown to Radford), so the loser here will find itself in an early hole in its pursuit of a bid to the NCAA Tournament. Last night we were treated to an excellent slate of non-conference matchups involving three Big Ten teams. First, Nebraska traveled to Philadelphia and played Villanova tough for the first 10 minutes of the game before ultimately getting blown out. Next, Maryland rekindled an old city rivalry when it hosted Georgetown. The Terps edged the Hoyas behind Melo Trimble’s 24-point effort and transfer Rasheed Sulaimon’s late three to seal the game. 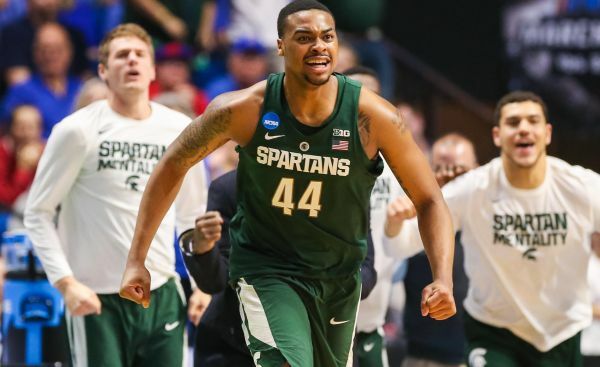 Finally, Michigan State came back to win against Kansas after being behind the Jayhawks for almost the entirety. Denzel Valentine was phenomenal, becoming one of just a handful of players to record a triple-double in a Spartans uniform. It was an excellent all-around night of basketball for Big Ten fans. For Bo Ryan, the challenge of rebuilding at Wisconsin since the departure of five instrumental players from his back-to-back Final Four teams is becoming real. First, there was a humbling loss to Western Illinois — a team that is projected to finish dead last in the Summit League — at the Kohl Center. Then, on Tuesday night, the Badgers learned that Andy Van Vliet — a 6’10” forward from Belgium — has been ruled ineligible for the entire season. This leaves Ryan short another player at a time when he’s still trying to figure out his rotation and the ultimate identity of his team. On Monday, Indiana finished its two-game set of Maui Invitational opening round games when it walloped Austin Peay, 102-76. As expected, the Hoosiers’ offense has been humming along early, as evidenced by their 69.8 percent effective field goal percentage on the season. More promising, however, is that Indiana’s defense looks markedly improved as Tom Crean’s group has kept its opponents at under one point per possession so far this season. The true test for his team will be next week’s venture to the Maui Invitational where, along with Kansas, Indiana is the favorite to leave the island with some hardware. In their first two games of the season, Purdue has showcased why it was selected as a preseason Top 25 team and considered a legitimate contender for a Big Ten title. Winning those contests by a combined 69 points, what’s even more impressive is that they’ve done so without the services of their best player, A.J. Hammons, who has been watching from the bench. Matt Painter has been ambiguous about the specific reason for his senior center’s absence, instead stating that “he’s got to take care of some business internally” before he can again see the court. Whenever he does return to the lineup, though, his presence will certainly add to a squad already performing at a high level — no doubt sending chills throughout the rest of the Big Ten. One of the reasons the Boilermakers have been able to make do without Hammons in the lineup is because of the exceptional play of star freshman Caleb Swanigan. In his first two games as a collegian, the big-bodied forward averaged 12.5 points, 12.0 rebounds, and 2.0 assists per game while also shooting over 40 percent from the three-point line. For those efforts, Swanigan was awarded the Big Ten Freshman of the Week award on Monday. 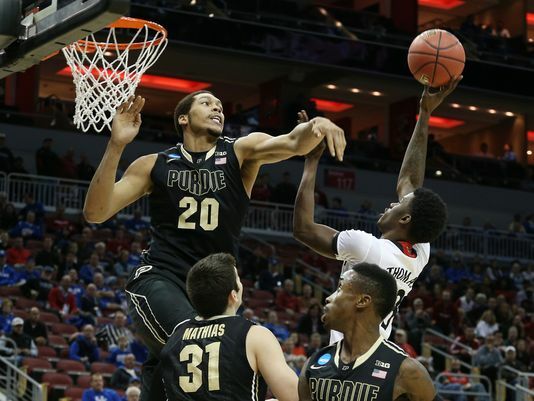 Look for the precocious Boilermaker to keep up this pace even when Hammons returns as he has already shown a developed ability to play away from the basket. We continue our Big Ten microsite predictions and superlatives with the second half of our preseason standings. We presented our preseason standings with teams #14 – #8 on the microsite yesterday; today, we unveil the top half. These are the teams that we as a group believe will finish near or atop the league when all the dust settles and will result in the likely conference representatives in the NCAA Tournament. Enjoy! 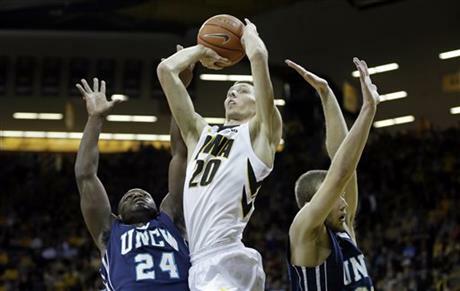 It’s Jarrod Uthoff’s turn to lead the Hawkeyes to another NCAA Tournament. 7. Iowa: With Aaron White now graduated, all eyes turn to senior Jarrod Uthoff to take the baton and lead the Hawkeyes to a third consecutive NCAA Tournament— something this program hasn’t accomplished since the early 1990s. With players like Adam Woodbury, Peter Jok and an experienced backcourt to work with, Uthoff will have a supporting cast with enough talent to get it done. 6. Michigan: The Wolverines are a talent-laden team with a number of players similar to Caris LeVert who fit perfectly into John Beilein’s prolific three-point offense. Both he and Derrick Walton were sidelined with injuries for the majority of last season, which gave the rest of the young roster experience to draw from this year. Now fully healthy, Michigan is set up for a comeback campaign pushing toward the top of the Big Ten. There is hope in West Lafayette — Purdue fans haven’t been this optimistic during a preseason since Robbie Hummel roamed campus back in 2011. 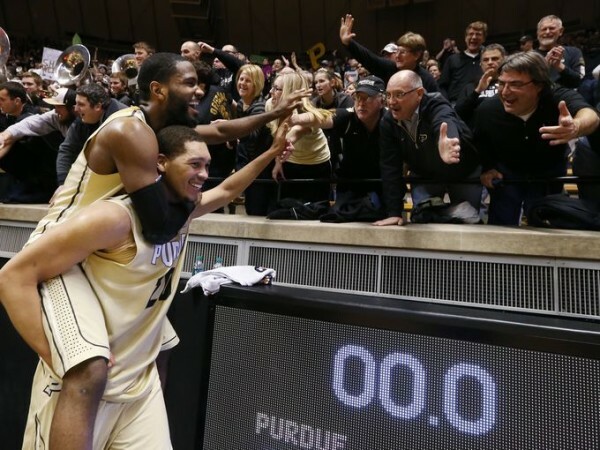 The reason for all those good feelings is because the Boilermakers return the bulk of an NCAA Tournament roster that lost an excruciatingly close opening round overtime game to Cincinnati. Matt Painter’s squad really put it together at the end of last season, winning nine of its last 12 regular season games, including an impressive victory against Illinois that effectively cemented its place in the field of 68. With virtually all their important pieces returning and joined by the services of a top 20 freshman, why did the coaches slot Purdue as a borderline Top 25 team? It’s because despite an impressive group of big men populating the frontcourt, the Boilermakers must address serious concerns about the legitimacy of their backcourt. Last week, I broke down the race for the top four seeds in the Big Ten because finishing in that group guarantees those teams a double-bye in the upcoming Big Ten Tournament. Heading into the final weekend of the regular season, we have a much clearer picture of this race. Wisconsin and Maryland have already locked up the #1 and #2 seeds, but the #3 and #4 seeds are still very much up in the air. Currently, there is a four-way tie for third place between Iowa, Michigan State, Ohio State, and Purdue. All teams have a record of 11-6 with one game remaining — none of which are against each other. This means that there are 16 possible (and very confusing) combinations of outcomes from this weekend’s games. To help clear things up, I created a cheat sheet showing where each team will be seeded given each scenario. 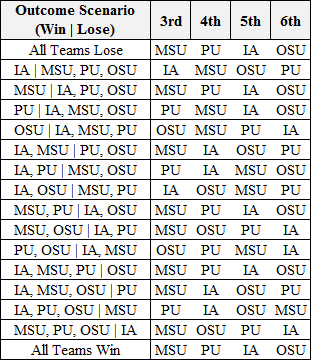 The table below displays the 16 possibilities: Michigan State gets a double-by in 12 of the 16 options; Purdue in nine; Iowa in six; and, Ohio State in five. Michigan State. Thanks to a 3-0 record against the other three teams, the Spartans would win all of the tiebreakers and end up with a top four seed in 12 of the sixteen scenarios and with the #3 seed in nine of the 16 scenarios. It breaks down like this: If the Spartans beat Indiana on the road, they’ll lock up the #3 seed; if they lose, they’ll need at least two other teams to also fall to get the double-bye. In this four-team race, Michigan State clearly has the upper hand. Iowa. The Hawkeyes finish with a top four seed in six of the 16 possible scenarios. In head-to-head tiebreakers, they will have the advantage over Ohio State (2-0) but not against the other two teams (0-1). In situations where multiple teams are tied, Iowa is hurt by its two losses to Wisconsin because the others only have one loss from the Badgers. After three convincing wins against three low-major teams and the impressive debut of freshman Vince Edwards, Purdue entered the Maui Invitational ready to test themselves against their major-conference peers and see if they’re as significantly improved from last season as they have appeared thus far. So what did they find out? They’re definitely better than last year but their season-long trajectory is still yet to be determined. Purdue finished Maui in fifth place with a 2-1 showing. The Boilermakers have proven they can beat teams likely not making the NCAA Tournament (Missouri) or likely to be on the bubble (BYU); but they missed their opportunity to get a resume win or two when they dropped their tournament-opener to Kansas State. But most importantly, they learned they’re a talented group that will need more consistency from their starters and less costly turnovers in order to really make some waves in conference play. 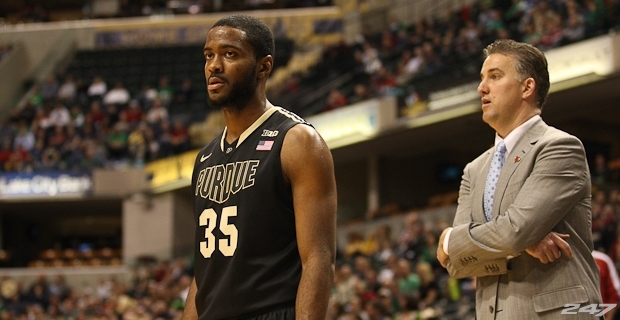 Rapheal Davis helped lead Purdue to a 2-1 record and 5th place finish in Maui. Against Kansas State, the Boilermakers effectively lost the game in the first half when they committed 11 turnovers that led to 17 Wildcats points, and subsequently a 15-point halftime deficit. In their second game against Mizzou, Purdue remedied their first half woes by coming out strong and playing physical defense right from tipoff, which led to the Tigers being unable to make a field goal until six minutes into the game. In the final game against BYU, the Boilermakers found themselves in a back-and-forth nail biter that went into overtime, which could have been lost due to a Rapheal Davis turnover, but instead was won on A.J. Hammons hook shot. The last few sequences of the BYU game seems representative of Purdue’s Maui performance: moments of intense frustration from turnovers, that is overcome by the innate talent within this group.